My Professor friend said this, lit his cigar and took a deep puff. We were sitting in his verandah enjoying the drizzle of the rain. I was surprised. I knew that Professor was SA (Secret Advisor) to PM – but then what was the connection? “Do you know that 1 kg of beef requires an average 13,620 liters (13.62 m3) of water? “On an average an Indian consumes 100 liters of water on a daily basis. So one billion people of India would need 30 billion m3 of water over a year for household consumption. Water consumed for production of beef is thus two times of water consumed by the Indian households (covering both urban and rural). Today, fifty percent of the beef produced is exported and so if consumption of beef is banned in India then we could save at least half or 30 billion m3 of India’s precious water resource – an amount comparable to annual national domestic water consumption! 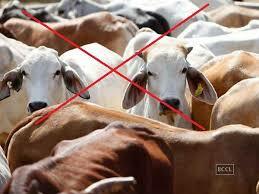 See the great impact of banning beef. This will help India to save water, improve on our dwindling ground water resources and meet the Sustainable Development Goals (SDGs) and in specific Goal No 6. I realized that the Prime Minister had a much deeper thought on India’s water sustainability – and an impression that he discouraged domestic consumption of beef on religious grounds was simply not true. Embedded water is water used to produce food and non-food products. Beer, burgers, clothing, our cars and homes, and even electricity all have water embedded in them. About 65 percent of the water that we consume is in our food. A tomato has 13 liters of water embedded in it; an apple has about 70 liters; a pint of beer about 170 liters; a glass of milk about 200 liters; and a hamburger about 2400 liters. It takes about 136 drops of water to produce one drop of tea, and about 1100 drops of water to produce one drop of coffee! If present levels of consumption continue, two-thirds of the global population will live in areas of water stress by 2025. Increasing human demand for water coupled with the effects of climate change mean that the future of our water supply is not secure. “I am now working on similar Indian statistics. It’s a complex task as Brits eat only Fish and Chips while Indians eat a variety of food items like Idli-dosa, Nan and Panneer and Chiken Biryani. I have commissioned five top IITs to work on this problem. We will soon come up with the true per capita water consumption for a North Indian and South Indian to begin with. That’s very impressive, Professor I said. I decided not to order fruit salad in Mumbai restaurants anymore. “Wow” I realized that Professor was set to bring in a quantum change with the concept of virtual water. Banning the beef was only the beginning. “Breaking news – Delhi Government is taking now far bolder steps on water. The Government is asking the Delhiets to consume as much water as they want – with no restrictions – and all for free. The Government has realized that the virtual water consumption of Delhi is nearly 10 times of the real so why focus on conserving water at the households and charge people for water use. Let the water be used in abundance and for free. Clearly this step must have been an outcome of the meeting with my Professor friend. I realized. A nifty infographic at National Geographic, showing ‘How Much H2O is Embedded in Everyday Life’. I was driving as usual to my office. It was morning time and an office rush. I was weeding through the traffic. When I stopped at the signal near the SiddhiVinayak temple in Prabhadevi, a tall Man standing at the signal opened the front door and took seat next to me. I was surprised – how did this guy get into my car when the doors were latched? I was stunned and was not able to speak. I knew many psychopaths who think Godly about themselves. I thought of pulling the car aside after the signal and get this cranky guy out of my car somehow. But there were still 75 seconds left for the signal to turn green. The Man continued “Dr Modak, I am not a psychic or a cranky. I am the God – as many call me so”. Well then Mr. God, why are you here? I asked just to keep the Man busy in some conversation. The Man said this in all seriousness that almost made me believe him. I took a second look at him. He had indeed a Godly face, an aura – and eyes that had all the compassion and kindness. “Well, see you at Babulnath then in the next 30 minutes Dr Modak”, The Man – (or the God?) – said in a matter of fact tone and simply disappeared. The traffic signal turned green and I drove ahead. Assuming the Man was really the God and that I had only 30 minutes of life left, I didn’t know what to do. There was so much of unfinished agenda and thirty minutes were just not enough even to list what I always wanted to do. Too short a notice to die, – I muttered to myself and shifted the gears to move towards Babulnath Temple. I was now heading towards the Worli sea face. I first thought of my family. My wife, my daughter and son. My sudden death will be quite a shock to them – I realized. I felt bad. Not fair Mr. God. I always have been shy to say to my wife that I love her and that I love her deeply. I wish I had said so. May be she already knows – I don’t have to say – I convinced myself. My son and daughter stay in the United States. This Xmas I wanted to have a family get-together for old time sake. I wanted to sleep with them on the same bed telling them the same stupid stories when they were kids. They would laugh at my silliest pranks and jokes. A great stress buster it was. But I now knew that was not going to be. I thought of calling all of them on the mobile phones and just listen to their voices. But I restrained as I thought I will be choked with emotions. “Come on – Let me be practical and surgical … I said. I then thought about my three elder sisters. The thought that I won’t be seeing them again, bit me hard and I felt wounded as I had not seen them lately – despite their repeated invites. The work had kept me busy. Was that worth? I said to myself. My car was now at Haji Ali. I looked at the watch. There were only 10 minutes left to reach Babulnath Temple. The story ends here – I said this with a sigh. I changed the gears. I remembered my friends and colleagues. I thought of the good times I had and the professional work I did with them. I remembered men and women I worked with – in my office and across the world. Some interesting faces flashed with bitter sweet memories. I won’t be seeing these faces again. My Roland keyboard. My collection of music. I realized that I hardly gave time to play and listen to music. I then thought about the book on Environmental Management I wanted to complete. It will remain incomplete I said. My heart longed for the lectures I used to give and the pleasure I used to get working with my research students. There were so many intellectually rewarding and inspirational discussions. I recalled my ambitions. I always wanted to bring change in the environmental governance, reform environmental education and build more environmental entrepreneurs that practice ethically. These dreams of passion were not to be fulfilled. I had always assumed that I had enough time to do what I wanted to! But that was the mistake. We often don’t realize limited time we have. I reached the Babulnath Temple and entered the alley as instructed by the God. I found that large Banyan tree. I parked and switched off the ignition. I was calm now as the reality of death had sunk in me. The God was waiting . I was shell shocked. The 30 minute drive from SiddhiVinayak to Babulnath Temple was the hardest in my life. This drive had made me review my life of 60 years in just 30 minutes – and rather brutally to realize what I ought to have done and what not! There was so much in my mind and in my chest that came out. I was pretentious and perhaps hiding my emotions all these years. And I had never realized that there was so much of unfinished agenda in my professional life. I thought of two options. One option was to get on to life again and do what I wanted to do, talk to my wife, meet with my children and sisters, see my friends and colleagues and toil hard to make my dreams come true in the environmental profession. But I thought that this option was rather not exciting! Second option was to convince the God that there could not have been such a mistake and the 30 minutes of warning for me was just right!. That option made more sense as I was now ready. 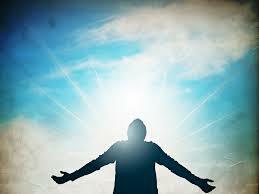 I looked up to the God to speak about the second option, – but by then he had simply disappeared! He disappeared just like a breeze. The next time you stop at the traffic signal next to SiddhiVinayak temple, look for the tall Man. He will make your 30 minute ride from Prabhadevi to Babulnath – a journey to remember. I was attending a cocktail party at a triplex apartment in one of the tall buildings on the Carmichael Road, in south Mumbai. Someone said that a famous Environmentalist was attending the party. I looked around for someone in organic cotton Tee shirt or a Khadi sling bag first, but couldn’t locate one. Since many famous environmental NGOs are now “rich and corporatized”, I looked for someone wearing an expensive “designer” saree, with large size Prada spectacles with a gold plated chain. Couldn’t find such a woman either. Most people in the party looked normal. The environmentalist must be in disguise I said to myself. Are you the Environmentalist? a lady asked me with glass of wine in her hand with diamond studded rings. You must be Mr. Bittu Sehgal, Perhaps this was the only name she had heard in the parties. No Ma’am, I said, Bittu treks in the Sanctuaries and does not attend cocktail parties, I am an Environmental Consultant”. Oh, then you must be making lots of money she said. Now a days I hear that consultants in the environmental field are in heavy demand because everybody wants speedy environmental clearances”. You are partly right and partly wrong Ma’am, I explained while sampling a chicken tikka. It is true that Environmental Consultants are in heavy demand and are sought to get speedy environmental clearance but then they do not make much money. There is just too much competition and most of the money goes to those who grant the environmental clearance. The lady was convinced. A stern looking guy, dressed in an Oxford suit walked across to me. “So you are that Guy, someone told me that there is an environmental activist amongst us. You must be the one since you are the only one not having any drinks. Are you Rishi Agarwal? I said no. Rishi Agarwal does not attend such cocktail dinners. He is in Aarey Milk Colony just now organizing a protest to oppose the Regional Development Plan of Mumbai. Its all crappy the newspapers say”. That’s the problem, the Man said. You activists simply stall development of this city just for the sake of opposition. You never take a holistic and long term view on the development. Good that the present Government understands this perspective ” The Man was bitter and angry. He went to the bar to refill his shot of Glenfiddich. In order that I am not labelled again as an environmental activist, I asked the waiter to get me a large Mojito “Sir, this person who spoke to you just now is one of the powerful builders of Mumbai who wants to develop a mega housing complex in the Aarey Milk Colony” the waiter whispered. “Oh I see” I said while sipping the Mojito and sampling a mini pizza. I was relived that I did not live around Aarey colony. I moved towards the balcony as there were fewer people there. I thought of drinking in peace. A woman with a large chain of beads followed me. She was smoking a perfumed cigarette. You must be Rufus David. I said No, Rufus is with Green Peace who raises funds for their activities. I work as a consultant to the World Bank on environment”. Oh dear, how exciting she said. You must be globe trotting and visiting places. My daughter wants to take on such a career. Can you give her some guidance and some leads? Please connect me with some international Environmental NGO where she could do some four weeks internship. She is keen to show on her CV some NGO type activities – like sanitation survey in Mumbai slums or be a part of tree hugging campaign to save trees. Wouldn’t that help?” She was right I thought. I gave her my visiting card. Ask her to contact me I said finishing my mini pizza. There was a discussion going on one of the roundtables. It was about cutting two trees that were bang at the center of the Veer Savarkar Marg in front of the Catering College in Shivaji Park. There was a divided opinion – some were of the view that the trees should be cut as there were accidents, especially at night when people (mostly from film industry) would drive drunk from the pubs in Bandra. Some were dead against the proposition of cutting as the trees were 80 years old. When they saw me, Man with rum and coke said “You must be Professor Sharad Chaphekar who counts trees in Mumbai”. No I said you got me wrong. “Professor Chaphekar does not attend cocktail parties. He is busy right now updating his book on Mumbai’s tree inventory, I am Professor at IIT Bombay and I teach subject on Ecology and Environment” Oh then you must give us your opinion”. The Man did not like that answer. He wanted a solution. “You professors never say anything clear and concrete. You just blurb” He said. “Why don’t we dig a tunnel as an underpass to save the trees? The tunnel will also avoid the accidents. We are going to build several tunnels in Mumbai anyways – so another one!”. Man with gin and tonic said. I asked “by the way what kind of trees are they? And don’t you think that the tunnel will cost hell of money. Besides we will have to keep the tunnel illuminated whole night.”. There was a silence – “Does this matter?” The Woman with margarita with a straw asked in an angry tone. “You are too academic to ask such a (stupid) question. I decided to help myself and grab some cocktail samosas and paneer mirch from the bar counter. “Sir, are you from Delhi? 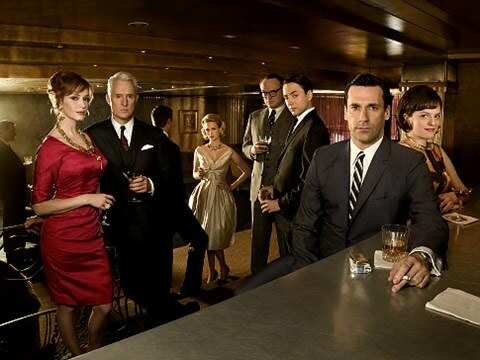 Then you must be ABC of IICA” Man sitting on the bar stool having a large brandy on the rocks said. “I am sorry I am not A B Chakraborty of IICA I said. ABC is busy conducting training programs for environmental NGOs on Corporate Social Responsibility (CSR). He travels all over the country looking for trainees (that is hard to get) and he has no time to attend such cocktail parties” I work as a Chief Sustainability Officer for a Corporate in Mumbai I said. Oh then you are the right person I should be talking to. The Man said. I run an Environmental NGO in Mumbai who specializes in CSR. We help corporates implement the CSR projects, ensure that moneys get spent in time – irrespective whether the projects make any difference or not. We do nice photography however and record video clips of interviews of the community representatives (who say how happy they are) and write a good story. We have worked with several Corporates by now and have ready templates of reports you can chose from. We hold a great picture library of photos taken across the country (people with large eyes, people with chinky eye etc). This option is there if you are in a hurry and want to be cost-effective. I can come to your office with a presentation and show you some of our “CSR resources”. I looked at the Man carefully. He hardly looked like an environmental NGO and appeared to me more like a businessman. “So he is the Environmental NGO in disguise – I said to myself. A new breed indeed! Someone, who I would have totally missed. The Man was certainly frank and a bit high in the spirits. He asked the bar man for a third round of large brandy on the rocks. That explained. I left the party half way with a vow not to attend the next one. I joined a mission in 1995 on a project for Development of Expert System for Environmental Impact Assessment (EIA). The project was very interesting, technically challenging and perhaps way ahead of the times. The idea was to develop a Computer based Expert system that would help Staff at the Environmental Regulators at the National Governments to identify significant environmental and social issues for a project and come up with mitigation measures to prepare an Environmental Management Plan (EMP). The system would in addition come up with Terms of Reference for collection of the baseline data that would help in assessing significance of the issues and the effectiveness of the EMP. The system had a GIS interface. The Expert system was to be cast in the form of a Rule base. Rules had to be developed by mining data, information and knowledge and later by extracting “the experience” and “ability to assess” from the national experts. A typical impact assessment rule was structured as follows If an ACTIVITY takes place in a PROJECT (with certain timing, at a certain scale and following a particular method or methodology) and if the ENVIRONMENTAL COMPONENT exists in the AREA OF INFLUENCE (with certain sensitivity, abundance and economic & ecological importance), and certain conditions prevail at the SITE (e.g. low mixing heights), THEN the impact (or CHANGE IN ENVIRONMENTAL COMPONENTS/S) could be SIGNIFICANT. This inference is drawn based on data, documents and experience of experts (all details listed or tagged to the RULE) at say 80% of CERTAINTY or CONFIDENCE. My job was “knowledge engineering” or creation of the RULES. The target countries were Philippines, Malaysia, Thailand and Indonesia. The sectors for which the RULES were to be developed consisted Thermal Power (Thailand), Irrigation (Indonesia), Water Supply (Philippines) and Highways (Malaysia). Idea was to hold knowledge engineering workshops in each of these countries over one week, invite subject matter experts and using a RULE CAPTURING SOFTWARE extract knowledge on impact assessment from the experts. Through these workshops, I could build around 1000 RULES on impact assessment. These RULES formed the core of the Expert system and represented the “minds” and associated “evidence” from more than 100 Environmental Impact Assessment (EIA) experts from four countries addressing four key sectors. The mission of four weeks consisted four members. Our Team leader was Jim and other team members included Mike and Shona. Jim and Mike hailed from Canada and Shona was from Aberdeen in Scotland. I was the fourth member. We set out our mission by meeting up in Manila. We were to spend a week in the Philippines followed by visits to Bangkok, Kuala Lumpur and Jakarta to finally exit from Singapore. In each country, we were to meet with the Environmental regulators and conduct knowledge engineering workshops. In those days, Internet was still in infancy and so were the laptops. All my team members had their own laptops. They also had subscription to the dial up Internet services at the four cities. Their service provider had provided them local telephone number where they could dial up using the modems that were attached to the laptops. The modems used to make beep beep sound and then a gurrr at the end when the laptops got connected to the local server!! I was desperate to stay connected on Internet. The mission was rather long and I was wondering how to access my email box. I did not have a laptop either! Those were not the days where flooding of emails used to happen, but still, whatever trickle of emails that it was, I was keen to receive and read the messages coming in. So our nightly laptop delivery and morning laptop return operations began. My very first access worked and I could read and respond to my emails. I gave access to my email box to a student I trusted at IIT Bombay and he did the job of forwarding emails to Shona’s email id. I used to do housekeeping operations to Shona’s inbox as agreed, especially deleting my personal stuff and junk emails. When emails got downloaded, a large chunk of the emails belonged to Shona. To weed out my emails, I used to read the subject lines. Many emails to Shona used to be from her husband George. I was many times tempted to read his incoming emails but refrained doing so on ethical ground and the because of the trust she showed in me. Shona was an amazing person to work with. We developed a process of developing EMP based on ACTIVITIES and ENVIRONMENTAL COMPONENTS. I think this was something unique and a great value add. Our approach essentially consisted of a combinotorial framework where alternatives were developed both around PROJECT ACTIVITIES and the impacted ENVIRONMENTAL COMPONENTS to achieve cost-effectiveness as well as sustainability. ACTIVITIES were either dropped, modified or “appended” with CONTROLs or MITIGATIONS and COMPONENTS were shielded, relocated or enhanced. I still use this approach when involved in the development of project EMPs. To arrive at this approach, we had several sessions between us in the coffee shops of the hotels we stayed during the mission. We also had (friendly) arguments. The discussions were often “recorded” on the paper napkins that we used to carry to our rooms. We became good friends and started socializing after the days work got over. One night, as I was downloading emails from Shona’s laptop, I saw a subject line “Re: This Guy Prasad Modak” from George. Obviously, Shona had written something about me to her husband George and George had responded. I became extremely curious. I wanted to know what Shona thought of me… as a colleague and now as a friend. I had a debate in my mind whether I should cross my decency, open the email and intrude Shona’s privacy. The important issue was her trust in me. Opening the email would simply mean a betrayal. Something unethical. I saw myself to be so “small” even with this thought. I took a pause, walked to the window and looked outside to the deserted late night streets of Makati. I tried to divert my mind. I did my best. I couldn’t however tame my curiosity. The resistance of remaining ethical was melting away … I gave up. “OK, let me do this ONLY this time” I told myself “And this will happen JUST ONCE” And I opened the email. [When I look back, I still feel that it was not just right for me to open Shona’s email. And I feel rather ashamed that I did. That’s where I guess the human weakness is.. ] In the email, Shona had introduced me to George. She had found me professionally good; was happy that I did not intrude her privacy and she liked working with me as I did not dominate conversations that most Indians do. To this George had responded that tell me more about Prasad Modak … He ended the email saying that there is some joint in Manila that she should visit where coffee is served in the setting of a library. He did not know the details of the coffee place however. The next day was Saturday and all of us were having a lazy breakfast at the Edsa Plaza hotel. Jim and Mike wanted to go for shopping. Shona said that she was not interested in shopping but was looking for a place to relax and read a book in peace. I came up with a suggestion to go to Cool Beans. Cool Beans is the first and only Library Cafe in the Philippines to serve Philippine Highland Coffee (PHC) Cool Beans has a big collection of over 500 pieces of reading material! This library cafe also has a very homey, cozy environment. It has couches so that customers can lounge while reading and having coffee. 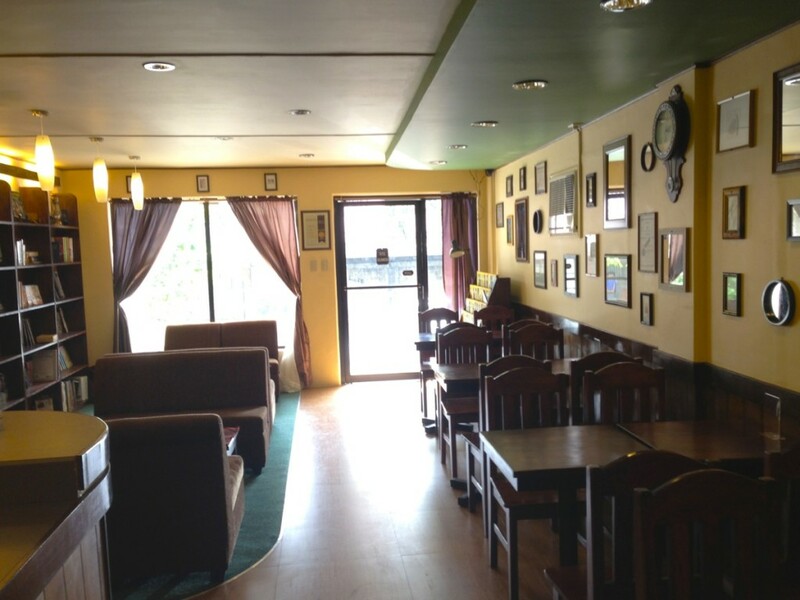 Today Cool Beans is located at 67 Maginhawa St., Brgy. UP Village, Diliman, Quezon City. Shona was excited when we reached Cool Beans. She ordered for a large cup of PHC, inhaled its unique aroma, paused and took a deep sip. She said “My husband George probably wanted me to visit this very place. Thanks so much Prasad for bringing me here”. “My pleasure” I said. 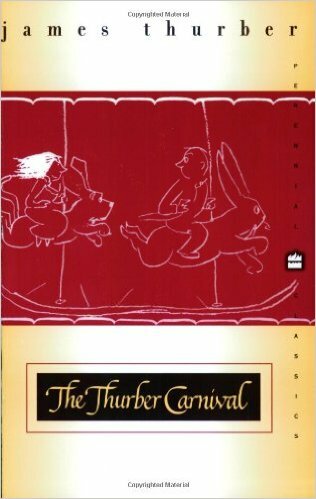 Shona picked up a copy of a book by Scot Fitzgerald and I chose to read Thurber’s Carnival. We sank into the couches and read the books for an hour. Did a second round of PHC before leaving Cool Beans. We discussed about the books in the taxi. The next night, I accessed the emails once again. George had responded. This time I opened the email right away without much thought. I was shamelessly addicted…. Shona had written how she enjoyed visiting the Cool Beans, conversations with me and especially the choice of the book I did. We moved to Bangkok. My regular reading of her emails continued. Each night I used to be eagerly waiting for Shona to walk up to my room with her laptop. I became part of the world of George and Shona – on a virtual or invisible basis. Many times in our conversations, I used to see traces of views from George and Shona’s own point of view as I used to read in the emails – I then scuttled around making remarks that were aligned but were subtle. Shona used to show surprise how similar were thoughts and colleagues, Mike and Jim often said that although were lived thousands of kilometers away, we shared similar views and interests in life! To be careful however and that the secret should not bust one day, I used to disagree or speak another point of view – but only occasionally. 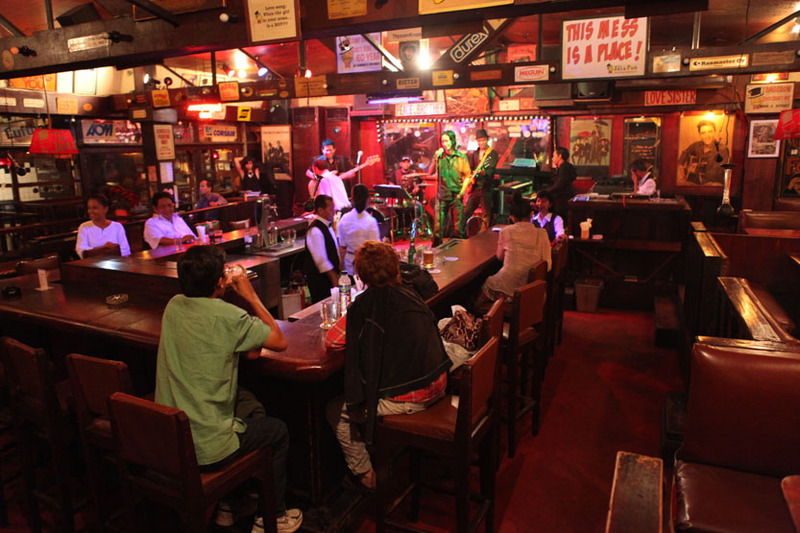 George was keen that in Jakarta, Shona visits the Jaya Pub. I prompted that we go to this celebrity pub on a Friday evening. Shona was extremely delighted with my suggestion. Mike joined this time and we listened to some great jazz music on Indonesian flutes. Shona wrote to George a long email that she had a great time. Professionally working with Shona was a pleasure and extremely rewarding. I think our four weeks mission on EIA made us mature on the science behind and its application in practice. We could understand the unevenness of EIA related Governance in four rising economies of Asia and across four key sectors. Interactions with EIA specialists in the knowledge engineering workshops greatly helped us in improve our own learning. We made several new friends in this process. Shona was a very open personality and so we would gel well and synergize our thought processes and experience. We reached Singapore as the last stop of our four country journey. George had asked Shona to bring a large statue (12” height) of the Merlion. 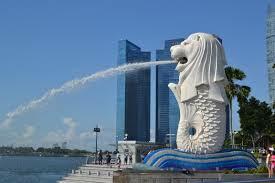 The Merlion is the national personification of Singapore. Its name combines “mer” meaning the sea and “lion”. The fish body represents Singapore’s origin as a fishing village when it was called Temasek, which means “sea town” in Javanese. The lion head represents Singapore’s original name—Singapura—meaning “lion city” or “kota singa”. It’s a unique Singapore souvenir. George was hosting a dinner with friends the very next day on Shona’s arrival. He wanted to place this large Merlion statue on the bar counter. It will look so majestic he wrote. “And Shona please don’t forget!” Shona – as I now knew – was a forgetful and absent minded person. We reached Changi airport on the last day of our mission. Our flights were proximal. I was the first to fly – Singapore – Mumbai and then Shona’s flight was to take off to London after an hour. We were doing a wrap up on the last day and so I could notice that Shona had no time to go to a shop and buy the Merlion. I was not worried because I knew in Changi, she could pick up a good piece from one of the handicraft shops in the duty free area. But when we were strolling around the duty free area of Changi, I realized that Shona had completely forgotten about the Merlion. She shopped some perfumes, a scarf, and a silk shirt for George. She actually walked by the handicraft shop that had Merlion statues but simply missed picking the 12” piece that George wanted. There wasn’t much time left for my flight. “Let me walk with you to the train to your Terminal – Prasad”, Shona said. She wrapped around her neck the silk scarf she had just purchased. She was looking stunning. “We must keep in touch” she said. I continued to be tensed though as I was thinking of the Merlion. Getting the Merlion to George was very important. It was to be placed on the Bar stool at the party he was hosting to celebrate arrival of Shona. I could imagine how disappointed George would be if Shona missed getting the Merlion. I did not want this to happen. I got into the train. Shona stood outside waving good bye to me. And I finally gave up. There was no time to lose. Just then the doors to the train got shut. I could see from the glass that Shona was shell shocked. She probably could not believe what I said. But being so sharp and intelligent as she was, she quickly understood what was happening… The secret of our congruence was out and over.